Benicia City Council, Campaign finance, KQED, Local elections, Local Regulation, Negative campaigning, Valero Benicia Refinery, Valero Services Inc.
Valero spent $200,000 in last year’s Benicia city council election to help elect two candidates who were less critical of the company than others. That’s created tension between the oil refiner and the city, leading people to question how much influence Valero should have in local politics. On Tuesday Benicia will discuss the possibility of new campaign finance laws that could limit corporate influence in its small town. Mayor’s thoughts for Council consideration on public campaign financing, etc. [excerpt…] The second item of interest for consideration is Council Member Campbell’s two-step process request to consider updates to the city’s campaign ordinances. Staff is recommending the council provide direction on whether the Santa Clara model and any other proposed updates should be considered and whether updates should be discussed and reviewed by an ad hoc group or by the Open Government Commission prior to consideration by the Council. “Public Campaign Financing Won Big on Tuesday”:That was one of the headlines after last year’s elections that nationally had the highest turnout for 50 years. Voters overwhelmingly passed Fair Elections matching funds systems in Denver, Colorado with 69% of the vote, in Baltimore, Maryland with 76% of the vote, and in New York City with 72%. Great news in the fight to get politicians out of the Big Money fundraising game! To what extent can cities utilize this strategy? For instance, some cities have adopted ordinances for candidates who pledge voluntary campaign expenditures limits but the candidate is targeted by an outside committee known as PACs spending nearly ten times what a candidate can spend. So the city provides public funds to supplement the targeted candidate not equal to what is being spent by the PAC but helpful. Common Cause discusses public financing in this booklet. When we set up the Open Government Commission, the first batch of applicants had many great ideas – many of which have been adopted – but not including having a city website similar to the City of Livermore for guidance on how to be a “smart voter”. While the League of Women Voters does this and other organization, it may make sense to have the resources available on a city webpage. Another concept is “participatory-budgeting” government which engages the public in decision making. Why this idea is included in a discussion about campaigning is that a more engaged public is a more informed public. At the end of the day, that is the goal so that voter decisions are based on information and not fear or “bad for Benicia” speak. Some ideas to blend the public financing and “participatory” government could be explored further upon council direction. Please attend Benicia City Council meeting on Tuesday, January 15, 7pm at City Hall. If you can’t make it, send your thoughts by email. The last Council election was dark. Manipulated by corporate and labor interests using massive amounts of cash and smear campaign tactics, a single candidate was trashed, the voting public was deceived and a rational electoral outcome was smothered. All four candidates denounced the actions of the Valero / organized labor Political Action Committee (the PAC “Working Families for a Safe Benicia to elect Lionel Largaespada and Christina Strawbridge and to defeat Kari Birdseye”). In December, Benicia’s new City Council voted unanimously to review the City’s campaign ordinance. The first discussion of possible changes will happen this Tuesday night, January 15, at 7pm at City Hall (see agenda and reports – PLEASE ATTEND!). 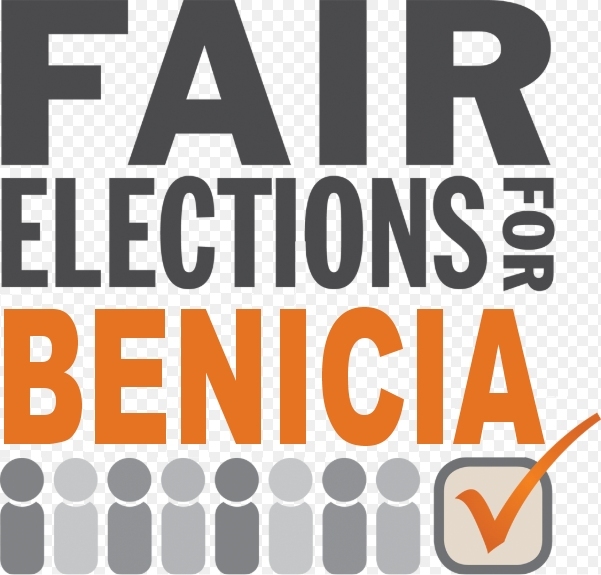 Benicia’s existing campaign ordinance requires candidates to conduct their campaigns honestly. This does not evidently apply to outside PAC’s. Should it? PACs can, and have, lied without consequence. Should an impartial City commission or staff person be authorized to call out lies? Should the candidate forum hosted by the Open Government Commission, and designed to counter last minute attacks and hit pieces, be moved back from the Saturday before the election to a date at least two weeks before the election? Or to a date shortly after actions “inconsistent with the Benicia Code of Fair Campaign Practices” are noted by the Commission? Should the City be required to post the Open Government forum on its website soon after the event? The existing ordinance references various kinds of expenditures by outside PAC’s and requires PAC’s to identify who is paying for them. But the ordinance does not reference ads placed on computer platforms and social media accounts like Facebook or Google. Should these be included in the update? In the last election, city staff posted on the city website the various income and expenditure reports filed by candidates and PACs. But staff did not offer the public ongoing cumulative summaries and final or near-final totals. When asked for clarifications, staff was unable to offer the public assistance in interpreting some of these documents, suggesting concerned residents should approach the FPPC. Should we require better Benicia staff oversight and interpretation of Forms 460, 465, 496, 497, etc.? Polling – the last election featured extensive polling paid for by an local corporation (Valero). Data from those calls was fed to the Anti-Birdseye PAC and used by their consultants in setting campaign strategies. When a poll is paid for or designed by outsiders engaging in political activity in an attempt to influence a city election, should the polling company and/or the entity paying for the poll be required to disclose who is paying for the poll? And should we require the poll questions to be disclosed to the City to determine whether the poll itself is a campaign advertisement rather than a legitimate poll? Endorsements – Many groups make endorsements in local elections. But in some cases, those endorsements are made by a small group of leaders of those organizations without ever asking for the consent of their members. In 2018, we heard from many upset teachers and others that the Napa-Solano Central Labor Council made endorsements without consulting local association members. When a membership based organization makes an endorsement, should they first be required to actually poll their membership and let the majority of their members vote on an endorsement? And should those membership results be made available for public review? And if not, should the endorsement made in a membership organizations’s name by another entity be required to disclose that fact on a flyer or other campaign material?